These two precious pups are all bundled up for a cozy Christmas together! What a wonderful way to wish your sister a "warm & fuzzy" holiday. If you two are practically inseparable, she's sure to appreciate this cute Christmas card, which will remind her of the special relationship you continue to share every day of the year. 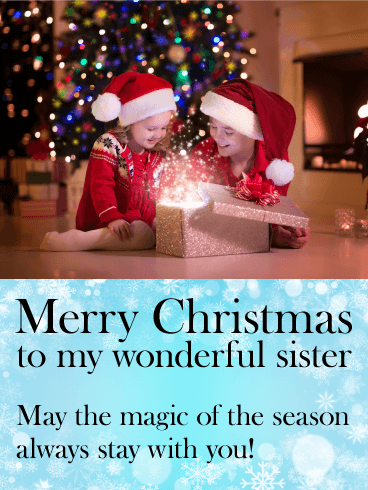 Merry Christmas, Sis! Hope your holiday is warm & fuzzy! 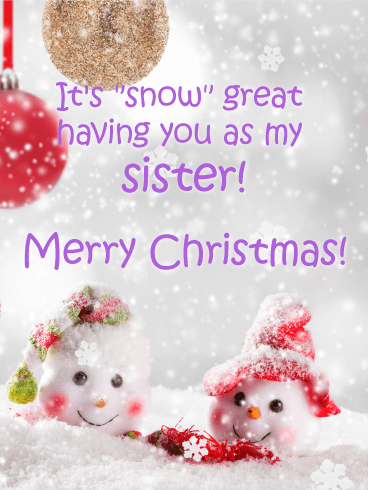 This Christmas card to your sister is "snow" cute! A marshmallow snowman takes a dip inside a cup of hot cocoa, helping bring a smile to her face this season. Adding to the charm is the sentimental message about how much it warms your heart to celebrate the holidays together. 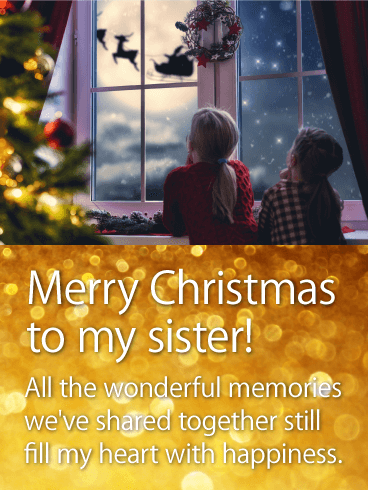 Two young children catch a glimpse of Santa and his reindeer dashing across the sky, bringing the wonder of Christmas to a very special sister in your life. Let this beautiful card remind her of those magical moments spent together and of new memories yet to be made. On Donner and Blitzen! Send Santa's reindeer dashing to your mother this Christmas season. 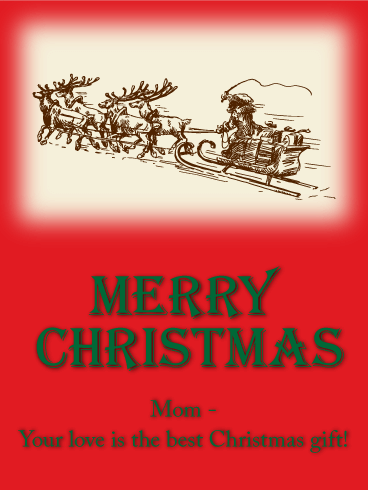 Thrill your mom with a vintage sleigh and reindeer greeting card. 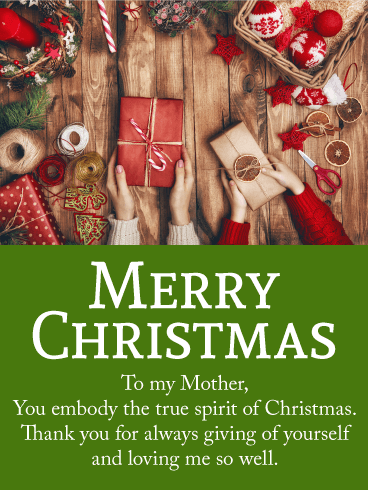 The message is short and sweet-you mom's love is the best Christmas gift of all! Need you say more? She'll love it. Send a thoughtful Christmas greeting card to your mom today and fill her holiday with joy. 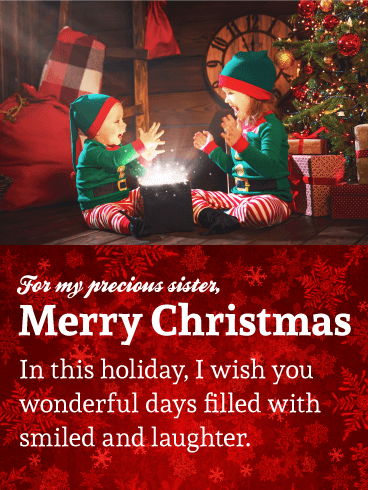 Remembering magical childhood memories of Christmas make this touching holiday card one your sister will cherish forever. Two young girls sit in front of the tree, opening a gift box full of glittery wonder. It's a special way to help her keep that same excitement and anticipation in her heart every year to come. A Christmas card for the modern mother. Chic and gorgeous, this Christmas greeting card sends a tender message to your mother. It's the perfect time of year to go the extra mile to share some holiday cheer with the woman who raised you. Let your mom know you’re thinking of her with this thoughtful Christmas card. 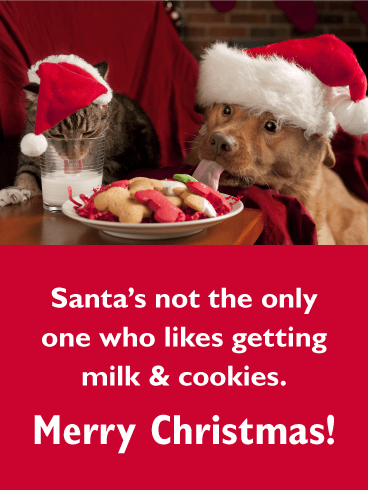 Boxes and bangles, ribbons and bows, it's all good, but not as good as a sincere message of love at Christmastime! A serene, snowy landscape brings to life the beauty of Christmas for your sister. This sentimental card is a special one to send this holiday season, as it lets her know that you're thinking of her and wishing her well all throughout the year. Whether you're celebrating together or separated by miles, it's a touching way to reach out. 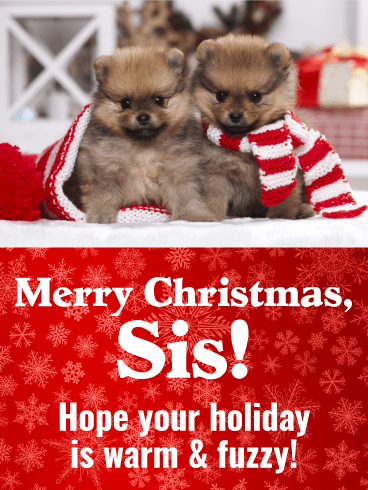 It doesn't get more adorable than this Christmas card for a sister you love "snow" much! Two happy snow people peek out from a big pile, as a flurry of snowflakes comes down from above. A few colorful ornaments add to the merriment and fun of this special greeting, which is sure to make her smile bright. Make it a retro Christmas. 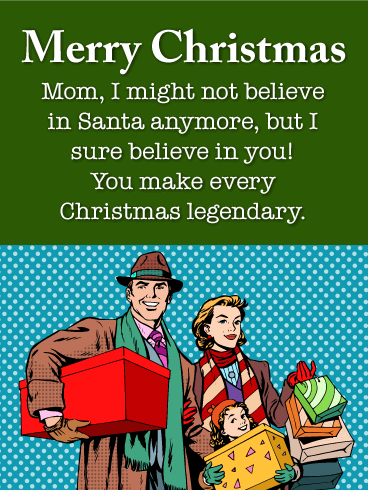 We might be too old to believe in Santa, but we all know who the real heroes of Christmas are-moms. That's right. Send your amazing mom a Christmas greeting that's as epic as she is. Your mom is classy and sassy and knows how to make Christmas fun. Bring some holiday cheer to your mother this year with a retro Christmas card. 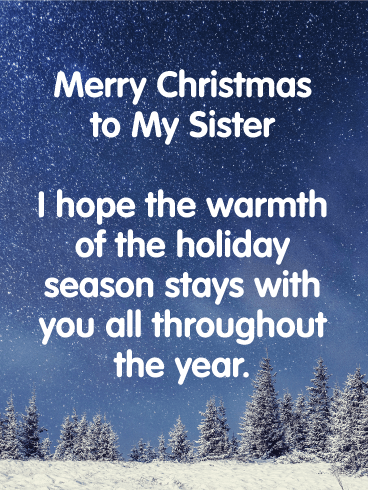 A peaceful winter scene creates the perfect backdrop for this Christmas card to your beautiful sister. 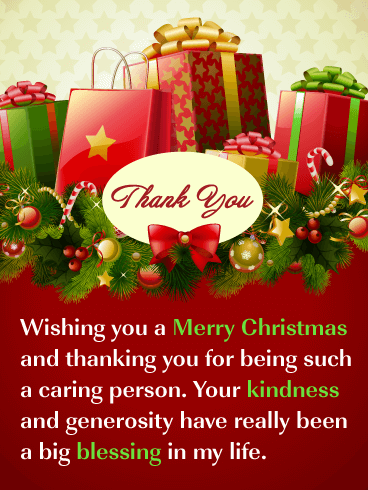 It's a wonderful way to wish her all the warmth of the holidays season and continued happiness in the New Year. After all, there's no one you'd rather share this joyful time of year with. 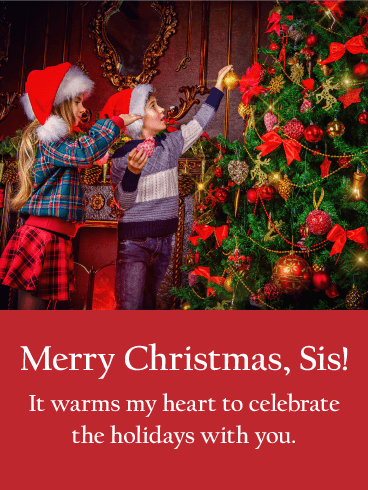 Share your love with your dear sister at Christmas time with this sweet Christmas card. 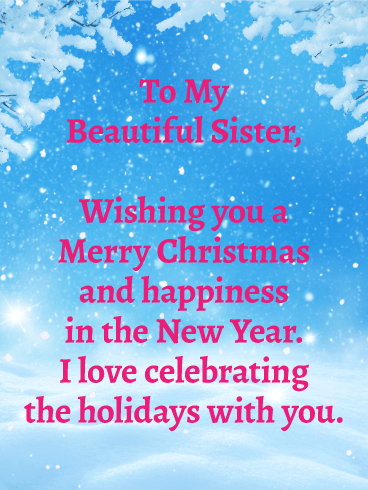 Against a festive red background, a heart-warming message wishes your precious sister laughter-filled days. Above, two adorable young children dressed like little elves open a magical package of starlight. A traditional Christmas tree and wrapped packages are behind them. Your sister will be delighted to receive this sweet and beautiful Christmas card this holiday season.